Articles taking a closer look at specific product ranges, their design and development. 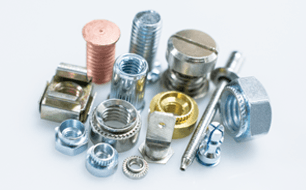 TR Fastenings is proud to be able to support a wide variety of sectors with its range of specialist security fasteners. 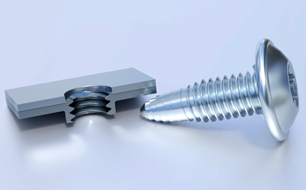 The EPW screw is a self-extruding, high strength thread-form fastener which creates its own female thread in punched sheet metal, thereby dramatically reducing assembly times and costs. 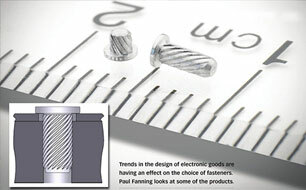 The cost of fasteners is rising worldwide. There are a number of factors driving this, from the price of steel and labour to wider global economic circumstances. 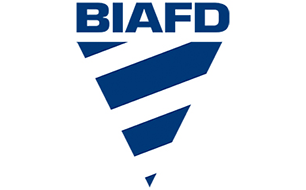 The following article, from Phil Matten of BIAFD looks at the various economic and operational factors driving the current price rise and analysing what the situation is likely to look like in the coming months and years. It’s undeniable that the world has changed considerably in the last few decades, altering the way we work, communicate, spend our leisure time and even get from A-B. Mobile phones, computers, the internet, GPS and social media are not just handy inventions which enhance the way we live, but actually in many cases shape and dictate it. 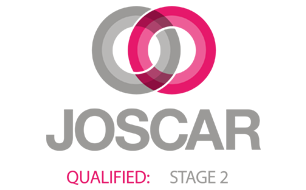 TR Fastenings has retained level 2 status in the Joint Supply Chain Register (JOSCAR), a database of firms that have undergone accreditation to prove they have the systems in place to supply to the aerospace, defence and security industry. As part of TR Fastenings (TR)’s continuous commitment to environmental legal compliance, the firm uses a world-class X-Ray Fluorescence spectrometer to conduct checks. TR Fastenings has responded to a growing trend in the automotive market by training members of its quality team to be fully certified VDA 6.3 auditors. The certification means the team can now assess suppliers and supplier products against the standard, which is increasingly being used throughout the automotive sector. 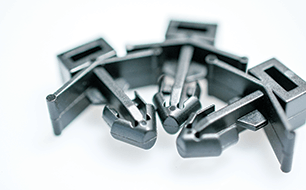 TR Fastenings has further enhanced its self-clinch range of fasteners for sheet metal products to meet growing requirements. 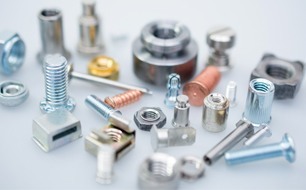 Demand for TR Fastenings self-clinch fasteners for sheet metal products is evident from a 40% increase in sales over the last five years. 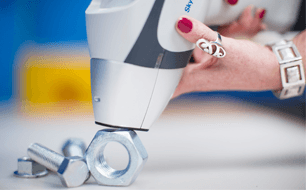 As part of an ongoing drive for continual product development, leading global manufacturer and supplier TR Fastenings has launched a new wedge-lock nut. The European Union has removed high levels of anti dumping tariffs from carbon steel fasteners imported from China. These duties had been in effect since January 2009, making the affected fasteners completely uneconomic to source from China. 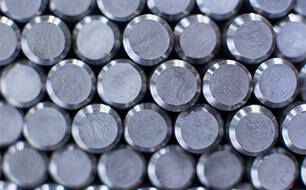 TR remains at the forefront of fastener technology with the latest introduction of its vast range of Blind Rivet Nuts. These mechanical fasteners ensure a strong thread in a thin sheet and provide the most versatile solution where there is little or no access at the rear. TR has added new materials and sizes to its wide range of studs for the sheet metal sector. The high strength studs for thin sheets are available in hardened stainless steel and TR's standard flush-head studs are now available in two new sizes - M2.5 and M8. Earlier this month a member alerted BAFD to reports from Taiwanese suppliers on this issue. BAFD followed up with the Taiwan Fastener Traders Association and other contacts in Taiwan to obtain the following information. The Taiwanese government has radically tightened controls over the discharge of waste effluent into water courses following a series of incidences late in 2013. Where once it was believed that design would always be predicated on the need to take things apart and repair or recycle them, the fact is that the opposite has increasingly become true. Electronic devices, in particular, have seen a fundamental shift whereby disposability is increasingly considered the norm – even in expensive devices. 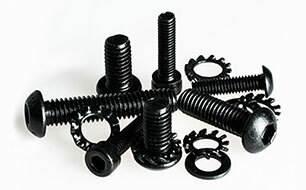 TR Fastenings is delighted to announce that it is now able to offer a unique superior black organic finish to all its metal fasteners. This UV-resistant coating delivers a high level of corrosion resistance, no hydrogen embrittlement issues and can be applied over most metallic materials. TR Fastenings Norway is uniquely placed both geographically and as part of the TR Group, one of the leading global manufacturers and suppliers of industrial fastenings and fixings, to serve the thriving offshore industry in Europe and Scandinavia. Having recently undergone a major strategic restructure, the company has made the decision to focus on sourcing and supplying this thriving sector. As part of an ongoing programme to increase its services and products and, in particular, to assist existing and new customers achieve the weight reduction requirements and high torque demands of the automotive industry. TR Fastenings came to an agreement with Phillips Screw Company in early 2013 whereby it could manufacture, under licence, Phillips’ complete range of industrial drive systems. 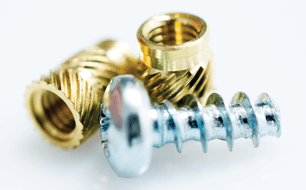 Steve Wallis explains to FAST why the self-clinch product is such a superstar among fasteners and what its future may hold. 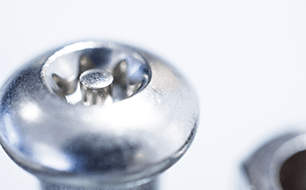 From domestic appliances and medical equipment to automotive, marine and telecommunications applications, the self-clinch is one of the most versatile, effective and widely used fasteners in the business. Since its initial launch less than a year ago, TR Fastenings’ ever-growing plastics portfolio is now one of the most extensive on the market, with new products being added throughout 2013 in response to customer demand. TR Fastenings has come to an agreement with Phillips Screw Company whereby it will manufacture, under licence, Phillips’ complete range of industrial drive systems. TR Fastenings already owns the Pozidriv trademark for the UK, Pozi in the EU, and also both the MAThread and Torx licences. 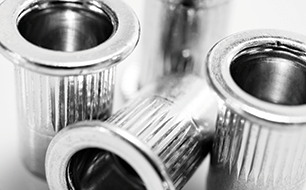 Millions, if not billions of fasteners are produced and sold worldwide every day. Designed in response to the constantly evolving needs of manufacturers, these integral components to our cars, fridges, computers and telephones are the lynchpins of our modern existence. As TR celebrated 40 years at the forefront of the fastenings distribution and manufacturing business, the team looked back at our various innovations. From small beginnings in the market town of Uckfield, East Sussex, TR Fastenings has grown into a £100 million business, with global distribution, manufacturing and sales networks. 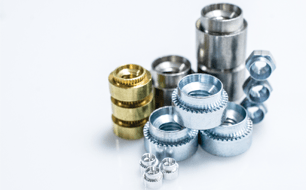 Following considerable research and development, TR Fastenings has refined and developed the popular and versatile Binx Nut to create a new all-metal, self-locking nut. 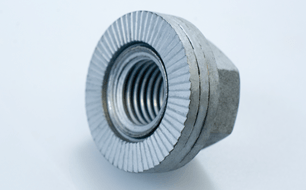 No bigger than a standard full nut, the Binx Nut’s ingenious design incorporates two opposing cantilevers which lock into the mating part with inward and downward pressure, thus minimising thread wear and enabling the nut to be removed and replaced repeatedly whilst retaining torque resistance. 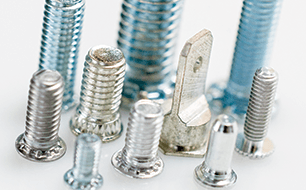 TR Fastenings, a Global manufacturer and distributor of industrial fastenings, has positioned itself as a market leader with one particular product range. 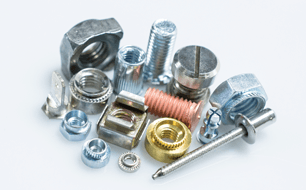 Sheet metal fastenings come in a wide range of shapes and sizes, in many different materials and are used in numerous industry sectors. TR offers a range of items. TR is delighted to announce the launch of its new plastic products range for Printed Circuit Board (PCB) hardware and Cable Management requirements. 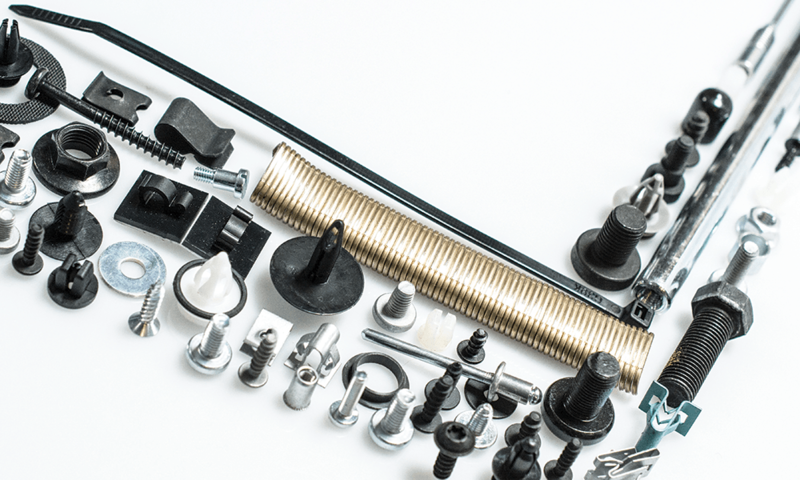 Plastic fasteners and fixings are set to be a core part of TR’s expansive product portfolio, with a comprehensive range available, on demand and competitively priced. At TR Fastenings, we manufacture the original Hank self clinch nuts ensuring quality control, flexibility and continuity of supply. 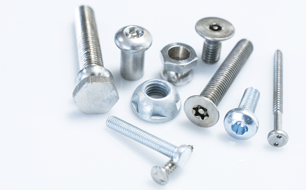 Manufactured in heat treated steel, aluminium, A2 and hardened stainless steel, these sheet metal fasteners offer a thread in to sheet that would be too thin for conventional tapping methods. 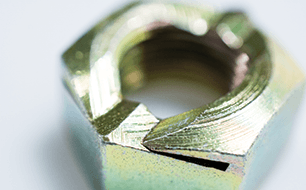 TR Fastenings, leading stockists of Sheet Metal fastenings in the UK have expanded their product range by introducing a new range of Cage Nuts. 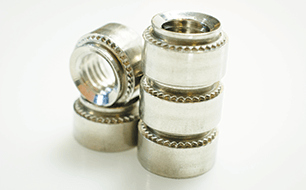 Cage Nuts are snapped into pre-punched square or rectangular holes therefore removing the need for welding, clinching or riveting. TR Fastenings Sheet Metal range is set to expand further with the introduction of the Euro Rivet Bush. 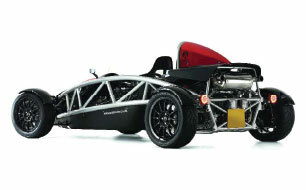 Designed, developed and manufactured at TR's production facility in the UK. 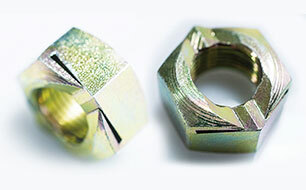 TR Fastenings has introduced the K-Series Nut. A versatile product which can be used for sheet steel and some plastic applications too thin to be tapped by conventional methods. 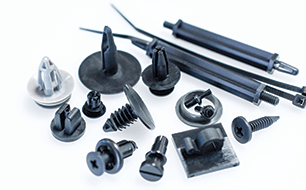 TR Fastenings has developed one of the largest ranges of inserts and screws for plastics. Our range of brass inserts is comprehensive with nine different designs to suit all types of applications in thermoplastics and thermosetting plastics. The TR Fastenings Sheet Metal range is used in a large number of different industry sectors. Read the full article to find out more about TR range of Sheet Metal fasteners. 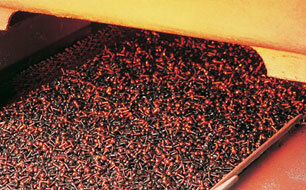 TR Fastenings manufactures the genuine Hank Rivet Bush from its purpose built factory here in the United Kingdom. Sizes range from M2 up to M12, suitable for sheet thickness from 0.6mm up to 6.0mm. 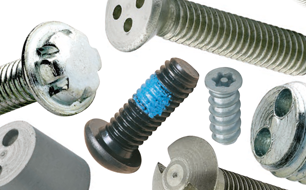 TR Fastenings specialise in a range of security products, including screws, nuts and installation tooling. 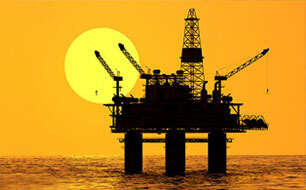 These items are ideal for protecting valuable equipment or ensuring products are tamper-proof. The TR Fastenings family has just got considerably bigger! With a global manufacturing and distribution network, TR Fastenings already has an extensive stock of Hank Self Clinch products. TR introduces yet another new product range to its Self Clinch fasteners. 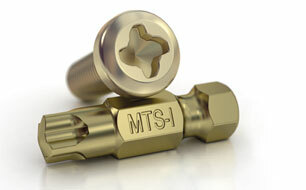 Since May 2011 TR Fastenings has stocked a range of Stainless Steel Low Displacement Head Studs. TR's latest product proves a runaway success! 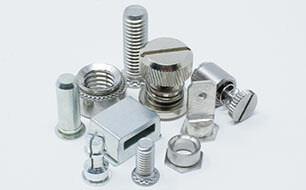 TR Fastenings stock a range of Concealed Head Studs. Are your customer fed up with having valuable equipment vandalised or stolen? 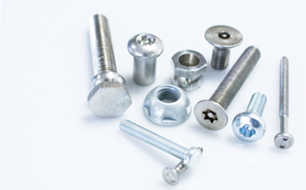 Why not consider offering the TR Fastenings unique Security Fasteners. Looking to install a stainless steel self clinch product into a stainless steel sheet? 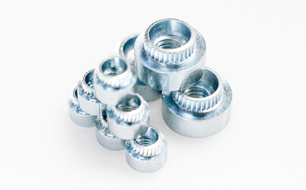 TR Fastenings stocks a comprehensive range of hardened stainless steel self clinch nuts, studs and standoffs from M2 up to M5. 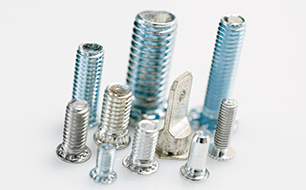 The TR Fastenings engineering team have developed an east to use Sheet Metal fastener. 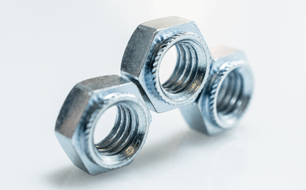 The Swage Nut is manufactured by TR Fastenings at its UK manufacturing plant and can be used in a number of different applications. Easy to fit and remove - but only for the right people. 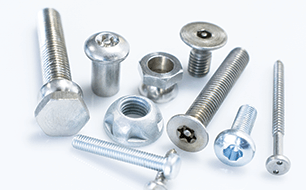 Leading fastener manufacturer and distributor TR Fastenings is offering a complete range of steel and stainless steel security fasteners design with special head that make removal impossible for anyone who does not have the right matching tools. 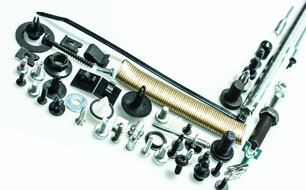 Manufacturers looking to rationalise their supplier base by outsourcing the procurement of low-value items to TR Fastenings, a proven and trusted partner for the supply of its own and third party production fastenings, are also reaping the benefits of the fastener firm’s superior technical and engineering support.